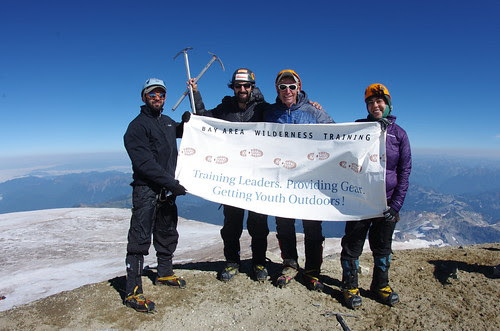 If your group wants to fundraise for Bay Area Wilderness Training but none of the trips we offer fit your fancy, you can design your own adventure! Our partnership with SWS Mountain Guides allows us to offer you a vast array of options. Pick a climb or backpacking trip and we will help make it happen! We can incorporate running races such as marathons, cycling races or long-distance bike rides, and other adventures as well. We’ll work with you to create a fundraising goal specific to your adventure and the capabilities of your team members. Send us an e-mail at climbingforkids@bawt.org or call us at (510) 452-BAWT (2298) x303 today with your ideas for a customized fundraising adventure!